Bon Vivant is a newer house brand of Memebox, my favorite Asian beauty retailer. When the brand launched, there were three different sheet masks available, and this is one of them. I've never had a lot of skincare with rose in it, but I've grown very fond of the scent and enjoy finding new items that I like with a fresh rose scent to it. For that reason, I was most excited to try this mask out when I received all three. 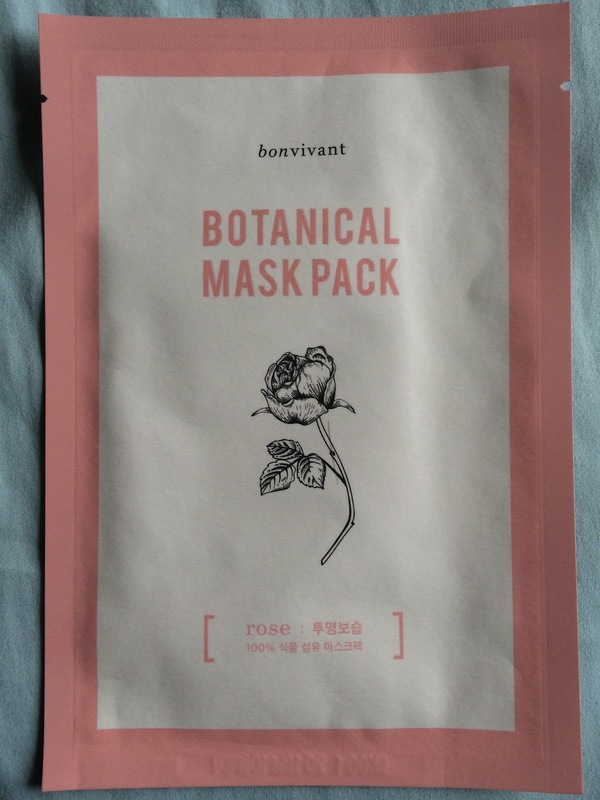 The Bon Vivant Rose Botanical Mask Pack is a botanical fiber mask. This mask claims to be clarifying and moisturizing, with damask rose as the star ingredient. Damask Rose contains vitamins A and C which help clarify and brighten the skin. The unique mask material, made from actual rose fiber, is able to retain much more essence than a traditional paper mask, making it more hydrating. 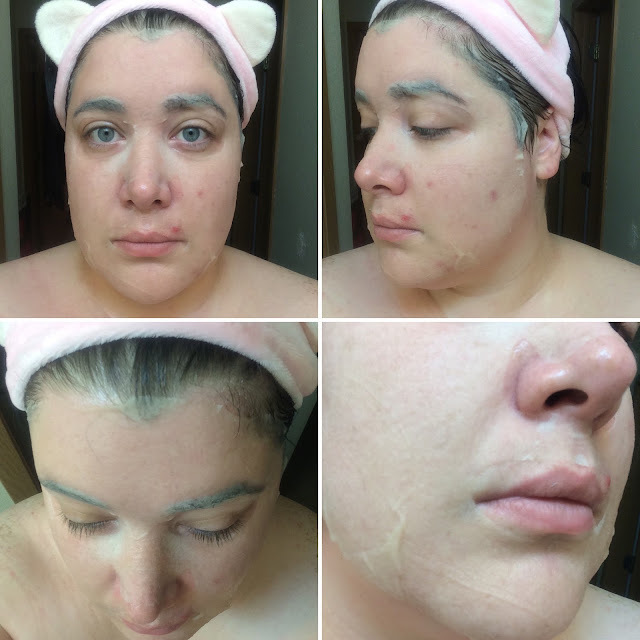 Ingredients: Rosa Damascena Flower Water, Glycerin, Methylpropanediol, Trehalose, Sodium Hyaluronate, Betula Platyphylla Japonica Juice, Allantoin, Panthenol, PEG-60 Hydrogenated Castor Oil, Ammonium Acryloyldimethyltaurate/VP Copolymer , Glyceryl Caprylate, Caprylyl Glycol, Xanthan Gum, Carbomer, Tromethamine , Disodium EDTA, Ethylhexylglycerin, Phenoxyethanol, 1,2-Hexanediol, Fragrance. Do not use if you are sensitive to carbomer, rose, or any other ingredients. The mask package is paper lined with foil - the mask itself is folded up around a piece of mesh. You will carefully unfold the mask, , remove the half-circle of mesh, and apply the mask to your face. It can roll/fold up on itself easily, so try to do this process delicately - take your time. The mask material is translucent with a high of pink color, due to being made from rose petal fiber, and has a squishy gauze-like texture that is slightly stretchy. It smells heavenly - like roses, it's beautiful. The essence is like that of a regular essence, it's not thick but it's thicker than water. When applied, it gives a slight tingly sensation. Memebox claims this is from the essence adjusting the pH of your skin, which may be possible with the Tromethamine, but I don't know enough about that to say for sure. It's not a painful sensation, and it actually feels good if you're experiencing a breakout (like I am). Even though this mask is thin, because it is able to hold onto so much essence, I can wear it for about 45 minutes before it dries up. My skin feels so hydrated while I'm wearing it and after removal. 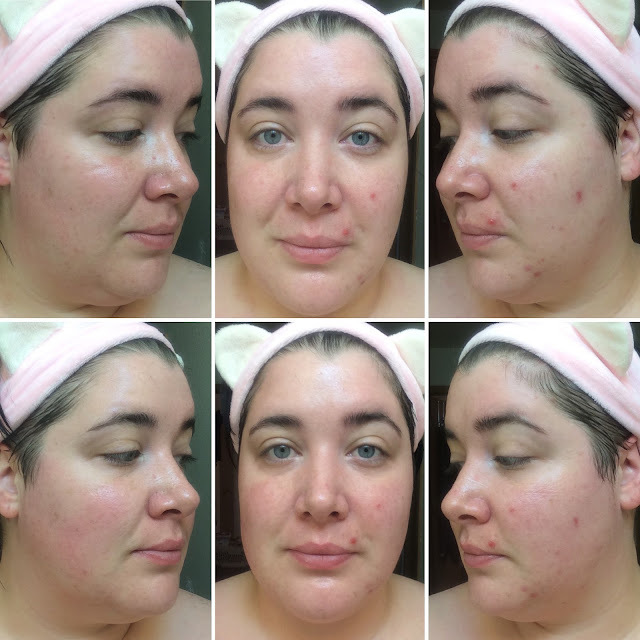 My skin looks brighter, calmer, and my acne is less painful. Definitely a keeper! I purchased this mask from Memebox USA; (affiliate). TL;DR: This is a rose botanical fiber mask made from rose petals and is scented like roses - avoid if you do not like or cannot use rose. This mask is thin, stretchy, fits well, and holds lots of essence. I found it to be hydrating, calming, and brightening. Would definitely repurchase!